I’m in the process of preparing for a house move, so I’ve not been blogging much recently. Even so I have been keeping up on my personal blog. So I thought it might be a good idea to re-blog a couple of the stories that caught my eye over the last few months, in particular those relating to the fall out from the recent UK election. The Tories are following through with their electoral threat to cut renewable energy subsidies. Furthermore, the government is even threatening to block wind energy from bidding on the CfD mechanism (their intended subsidy for nuclear), even in situations where wind energy offers a better deal. The renewables industry, particularly that part of it based in Scotland has warned that these cuts could lead to a complete halt to work. Figure 1: Guess who was the biggest winner out of this election? As I’ve pointed out before, onshore wind represents the cheapest form of low carbon energy available. It also means ignoring the fact that the historical subsidies paid out to fossil fuels and nuclear have exceeded those paid out to renewables, by some significant margin. Yet at the same time the government is willing to throw yet more subsidies at the fossil fuel lobby in an effort to promote fracking. And while they are promising to extend the rights to allow the landed gentry to object to wind farms within visual range of homes, they are going to remove people’s rights to object to fracking. 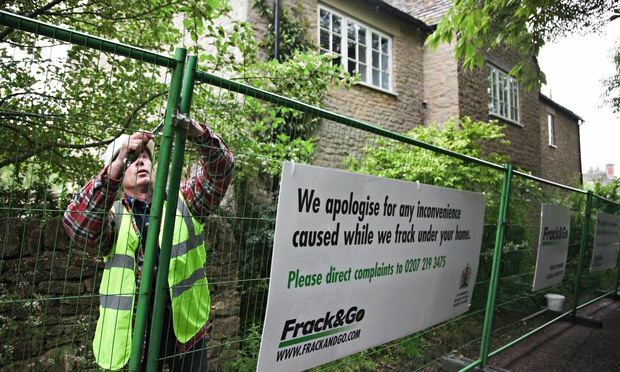 Even if a company wants to frack underneath homes, they won’t having to apply for planning permission. It has been suggested that being near a wind farm might impact on property prices by an average of 2-5%, or perhaps even 12% in the worse case scenario. Although another study suggests no significant correlation (my take on this is it probably depends, if there’s lots of property available, a buyers market, house prices might be effected as buyers are more choosy, but if the reverse is the case, as it often is in the UK, there’s no effect). However if someone fracks under your home, forget about selling it…..ever! Already some near fracking operations are complaining of this very thing. They can’t sell their home, can’t move house, they are stuck where they are next to fracking operation. And there is significant doubt as to whether the shale gas reserves of the UK are even economically viable, particularly given events in the US, where shale gas operators are loosing their shirts. Already its speculated that US shale gas output might well peak by the end of decade. 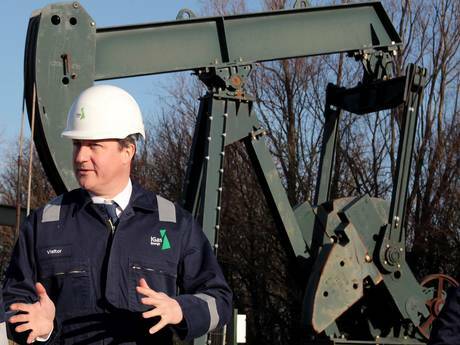 The Tories are in effect committing the UK to an energy policy in the form of a new dash for gas, but in the blind. Now that is not only bad as regards fighting climate change, but the UK is facing a squeeze on its power generating capacity. And it hardly seems to me a winning strategy to halt the production of the one energy source that’s growing, while coal stations are shutting down, as they cannot compete with wind power and hydro. And let’s not forget about climate change. This amounts to a complete U-turn on the last 25 years of UK energy policy, a U-turn which was launched with little warning, one which will probably send the signal (as I speculated in a prior post) to the power industry to halt all investment in energy….keeping in mind that all the fracking in the world will be little use without power plants to burn it in. What the energy industry needs is not some get rich quick scheme, but a long term energy plan for them to work around. These proposals offer no such promises. Indeed its not just wind energy subsidies that are going to be cut, but those to solar power are also being cut. This will be the 6th cut (I’m guessing, as I’ve lost count at this point) in solar subsidies under the present government. The Tory line is that solar is now sufficiently mature to not need subsidies. While the solar industry agrees they are rapidly maturing, they have also pointed out it is hardly fair to cut solar subsidies at a rate of 25% of the overnight costs while subsiding nuclear to the tune of 68% of the overnight costs. And such a sudden cut is likely to have a very serious effect on jobs. The environment minster Amber Rudd (pro-nuclear, from the same district as Dungeness NPP) openly admits this hypocrisy, but dodges the wider hypocrisy that she’s cutting subsidies to renewables on the grounds that they are now “mature” while still shovelling money into the bottomless pit called nuclear, an industry whom the government has been funding at a considerable expense ( exceeding any subsidy to renewables), for the best part of 60 years. 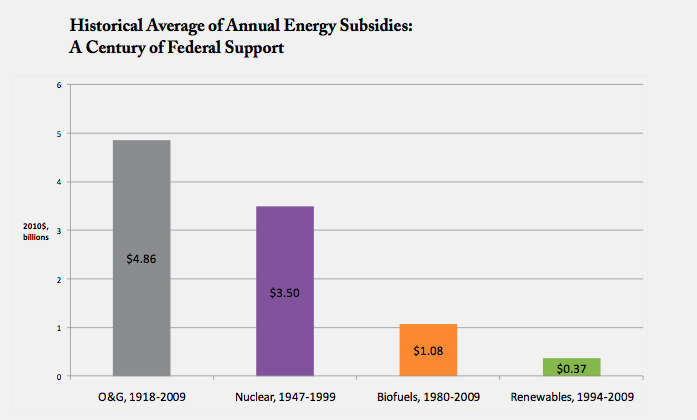 Exactly when is nuclear going to be able to function without a subsidy? When hell freezes over seems to be the answer! When pressured on this point she then claimed that renewables are the “wrong” sort of electricity. Ya, they sort of energy that doesn’t buy her a bigger house or include a few brown envelopes if you know what I mean! 😉 And as I’ve pointed out before, the whole “intermittency” issue is something of a red herring, as nuclear also needs backing up (indeed there is an urgent need to add extra energy storage capacity to back up Hinkley C and billions have been committed to doing this, notably by expanding Ben Cruchan). And there are plenty of energy storage options available, as I discussed in a recent article. The reality I’m afraid is, that the Tories are ideologically opposed to renewables. Anyone in this industry has good reason to fear for their prospect’s for the next 5 years. And of course its not just renewables who are in trouble thanks to the Tories. The general view of the engineering community to the Tory EU referendum and the risk it raises of Brexit would be something along the lines of “have the rest of you gone mad or what?”. EU membership is crucial to trade they argue. While it is true that the head of JCB did back Brexit, this was taken by many of his colleagues as a sign that he’s slightly out of touch. 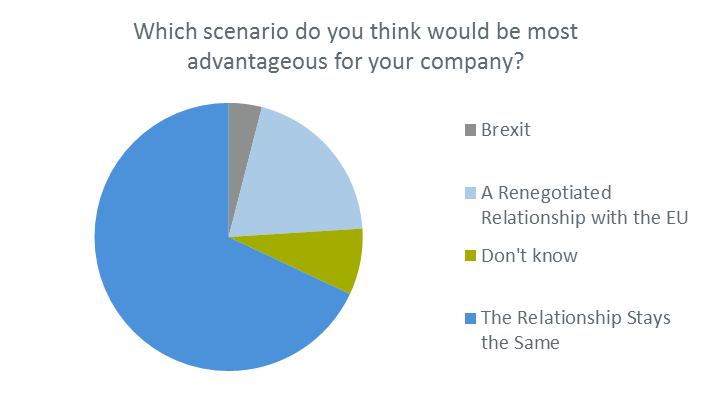 Figure 4: Very few UK companies think Brexit would be a good idea (Source: Public affairs 2.0), so why is it on the agenda? The pro-exit camp are often deluded into thinking that the UK is so important to the EU that we can drive a hard bargain and get a better deal with the EU (and other countries) outside the union, for example pointing to the large amounts of cross channel trade, about 50% of UK overseas trade is with the EU, about £11.8 bn in exports and £19.7 bn in imports. However this has to put in the context of the EU’s total trade of 1.7 trillion euro’s and imports of 1.6 trillion. Yes UK trade with the EU might be worth 50% of our trade, but its just 1% of the EU’s total trade! In the event of a break down in negotiations post Brexit, who do you think will blink first? the British delegation worried about losing 50% of trade, or the EU worried about losing 1%? The UK will be over a barrel in such negotiations, as they will also find themselves when negotiating with the US or China. Merkel could force Cameron to endure some sort of bush-tucker trial and he’d happily eat frogs legs or snails, perhaps get him to drink that awful Berliner Kindl beer, and yet he’d still sign anything they put in front of him. He’d have no choice! Already there are signs that businesses are positioning themselves for Brexit. In the back pages of the engineering mag’s you’ll hear all sorts of stories, for example that Jaguar is building new factories, not in the UK (while the Castle Bromwich site is full, they’ve plenty of space at other sites) but overseas in Asia, Turkey or the EU. And this is by no means a one off, what’s left of UK automotive manufacturing would be in dire straits in the event of Brexit. Rolls Royce and Airbus, have not been quiet about their views on Brexit and its again worth noting that they seem to be either holding off on key investment decisions or have already decided to build new factories overseas. Even a recent announcement regarding HSBC had a Brexit angle. The danger of course being, that all of these move will leave major corporations with essentially one foot already out of the UK, making it very easy for them to simply move completely out of the UK if (as predicted) there are major issues post an EU referendum. An interesting piece here from the BBC about the long running saga of choosing the next airport for London. Would you believe that committee after committee has been debating this matter since the Roskill Commission in 1971! They recommended a new airport on a greenfield site in Buckinghamshire. Then, as now, the government rejected this proposal and fudged the issue. And successive governments have been fudging it ever since. So with that in mind you can understand why this week’s Airports commission report went down like a lead balloon. The problem here is that politicians keeping asking for an answer to a simple question and then not liking the answer they get back. Expansion of Gatwick or building a new airport in the Thames estuary comes with numerous difficulties, not least of those cost, but also the issue that such an airport will be in the wrong place. Any replacement for Heathrow will serve not just London but a large chuck of England, and the bulk of people in England live either north or west of the Thames, so an airport tucked away in the South East corner of the country will necessitate a change of trains in London and a journey across London, something that will automatically add 1-3 hours onto any journey time. This is the whole reason why the Roskill commission picked a site north of the capital. The present Airports commission, perhaps recognising the impracticality of this option went for the next best thing, which was to expand Heathrow. My own view is that instead of expanding Heathrow, just make sure its integrated into the HS2 network, as this will eliminate the need for commuter flights to Heathrow, freeing up capacity. Furthermore, as HS2 passes close to Manchester and Birmingham airports, it offers the alternative of expanding them instead and offering a fast connection time to London, Heathrow and the rest of the country. Its also worth remembering that much of Heathrow is given over to cargo. Do the parcels really care where they land? Can’t we just take one of a number of airfields near London (or take over Luton or Oxford airport), turn it into a dedicated cargo handling facility (again ensuring good connection to the rail network as well as the motorways) and redirect all the cargo flights away from Heathrow. But, like I said, the problem is that no matter what answer they come up with, its going to be unpopular with someone. The Heathrow HS2 link for example has been killed off by the usual NIMBY-ish reasons, indeed Gatwick expansion is also resisted by various NIMBY’s in that part of the country. Ultimately the government needs to realise that part of their job is to make unpopular discussions. So either they need to disappoint someone by expanding Heathrow, or building a new airport to the North West of London. Or re-route HS2. Or do nothing and point out to anyone in London that wants to complain about how awkward air travel is in London, or that prices are so expensive and the airports so inaccessible, well we had plans to fix this, but you objected to them! The Tories also promised billions to help upgrade railway lines in the UK, all as part of their election plans for a “northern power house”. Needless to say, that promise didn’t last very long. But I have to give the Tories credit. Most governments would at least go through the motions of pretending to keep their election promises, for a year or two anyway, then act shocked and surprised when the programme they’d badly managed and starved of funds failed. 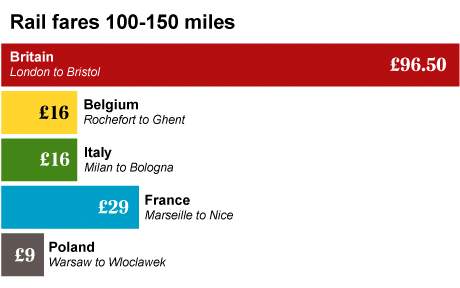 Figure 7: Britain has some of the highest railway ticket prices in the world….and one of the poorest rail services. All thanks to the miracle of privatisation! Certainly it is true that there is a desperate need to upgrade the railway lines of Northern England. New lines have to be built to ease overcrowding, as well a long delayed completion of countrywide electrification (yes less than half of the UK’s railway network is electrified!). Taking a train in that part of the world is like going through a time warp. It takes so long to get from, say Liverpool to Sheffield or Leeds to Hull, you’d swear they still used steam trains. But any sort of meaningful upgrade of systems here was always going to be a major job, as big as HS2 itself. But frankly anyone who honestly believed that the Tories, a party who have been screwing over northern England since the 1800’s, were going to spend tens of billions on the north, well I’ve got some magic beans you might want to buy! This was clearly an election ploy to steal a few lib dem seats. Anyway, one of the things that Abellio did was to promise that they’d buy in new trains. However the IMECHE magazine has suggested, as has the Scottish Herald, that quite a few of these will be refurbished Intercity 125’s, a type of British rail era train set. So it would seem a “new” train to the Dutch is to slap a coat of paint on something you’ve pulled out of railway bone yard. Dressing up mutton as lamb doesn’t quite cut it, this is dressing up haggis and calling it caviar! 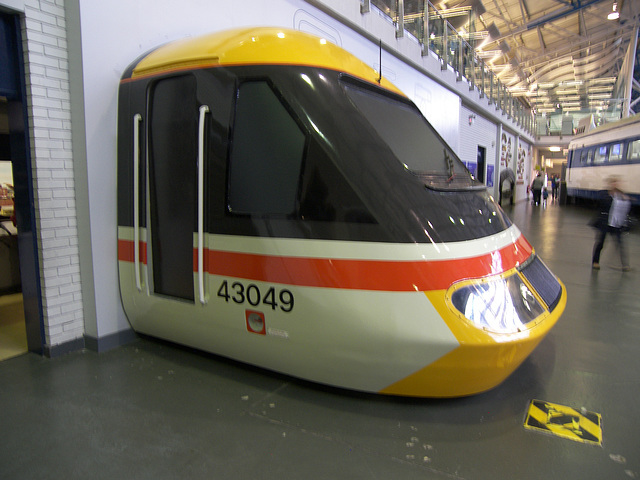 Figure 8: The cab of an Intercity 125 in the Yorkshire Railway museum. To the Dutch this museum exhibit counts as a new train! The IMECHE is also of course strongly behind HS2. However in recent additions, they’ve been recognising that there is still scepticism from large sections of the public. However they do point out that the major question critics fail to answer is, if not HS2 what else? The UK has an antiquated and inefficient railway system that most Eastern European countries would be ashamed of. All in all, continuing the current policy of sticky plasters on a leaky dam isn’t going to cut it. New trains need to be bought in to increase speeds, relieve overcrowding and provide greater comfort. Stations need to be upgraded, after all we’re still using an infrastructure largely designed by the Victorians when the population was a fraction of today’s. In short, its time for some difficult and ultimately expensive spending decisions to be made. Or we’ll be still being trucked around on creaky overcrowded railway carriages older than the majority of the people sitting in them. Despite being a £120 billion worldwide business, renewables received very little coverage over the election. And, as noted, what coverage it did receive involved promises from the Tories to cut subsidies…and give an even bigger subsidy to the nuclear industry! Well one innovation getting some recent attention is that of solar cells relying on Perovskite rather than silicon, with a British firm, Oxford PV, at the forefront of developments….well until the Tories run them out of town (you know how pro-business they are!). What is interesting about the Perovskite panels is that they offer the opportunity for significantly enhanced efficiencies, particularly if used in tandem with a layer of silicon based panels. Also they offer a much lower environmental impact. The environmental impact of solar panels is often exaggerated by critics, who often ignore the fact that far more heavy metals are emitted by fossil fuel plants. That said, there is certainly a desire to cut those numbers further, particularly if the result offers yet another opportunity for major cuts in production costs. The downside? Most of the world’s Persoviskite is sourced from Russia! 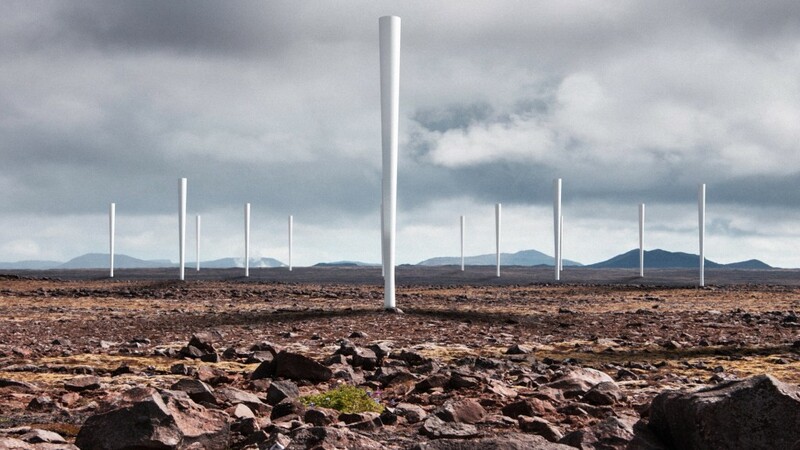 Another innovative idea is bladeless wind turbines. These rely on the principle of resonance to keep the turbines turning, without the need for any blades. This offers the possibility of lower visual impact, greater efficiency and lower costs. Downsides? Well the technology isn’t very mature and it may prove difficult to scale up these turbines to the levels seen with HAWT’s. But its good to see this sort of research with people thinking outside of the box. However it also shows why subsidies are necessary, at least so long as we are effectively subsidising other energy sources such as fossil fuels and nuclear. This entry was posted in climate change, efficiency, energy, fossil fuels, nuclear, politics and tagged energy, Energy policy, nuclear, peak oil, power, Renewable, renewable energy, Solar, sustainability. Bookmark the permalink. I think we need to see renewable energy cuts as a cloud with a silver lining. The fossil fuel and nuclear supporters were up in arms about renewable subsidises. According to their reasoning, it was the cause of high household energy bills. This thinking became prevalent among the electorate and the Tories seized the opportunity to cut. If we in the renewable community are to be honest with ourselves. We would say some of the subsidies were too generous and were attracting, latter day snake oil merchants. Selling their wares on an unsuspecting public. The cuts remove these types from our midst and gives the Tories no (left wing) excuses when household energy prices rise in the future. Neither would they be able to convince anyone, their inertia on Hinkley Point C and Trident is something to do with opposition from renewable lobbyists. People who truly believe in renewable energy will find a way to make it work. Either they will invest in it directly as Google can and has. Or they will form Co-operatives ventures. To reinforce the point about silver linings. The bladeless wind turbines came about in part because of the opposition from NIMBYs. A case of stupid people getting bright people to think smarter. I suppose what it boils down to, is, we should allow the Nuclear and Fossil Fuel disciples to revel in their victory. As their ‘god’ is not long for this world. while I’d like to agree, the fact is that we have spent far more subsidizing fossil fuel and nuclear energy consumption that has ever been spent subsidizing renewables. Indeed even on a year on year basis the IEA points out that far more money is spent subsidizing fossil fuel consumption than renewables. And this is before we consider the subsidy of dumping a climate altering gas into the atmosphere free of charge. I’ve long argued the solution would be to get rid of all forms of energy subsidy and couple that with a carbon tax. However that would kill off the nuclear industry and make fossil fuel consumption much more expensive. Thus it would not be very popular with both vested interests and bill payers. So renewable energy subsidies have always been a messy compromise to get around the fact that the dice are loaded against renewables.